Continuous automatic H-Beam Welding machine is a new technical product that integrates mechanical, electric, and pneumatic technologies. The machine, using advanced technology of single-arc double-wire welding, greatly increases the product efficiency. 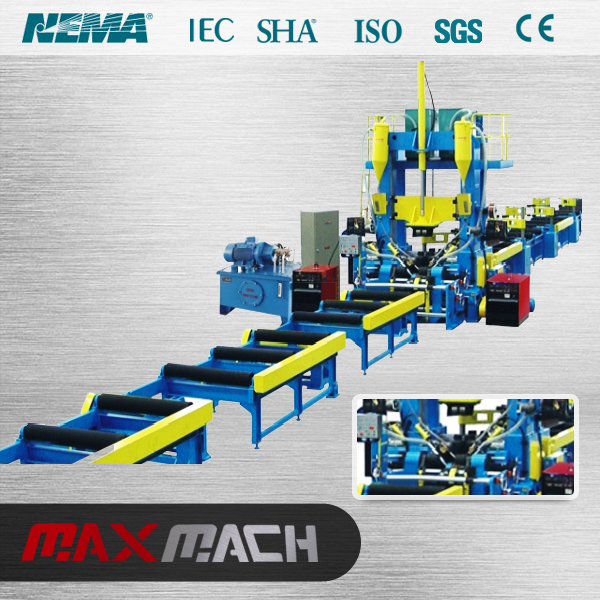 Continuous automatic H-Beam Welding machine consists of welding machine, position fixing machine and conveyer. 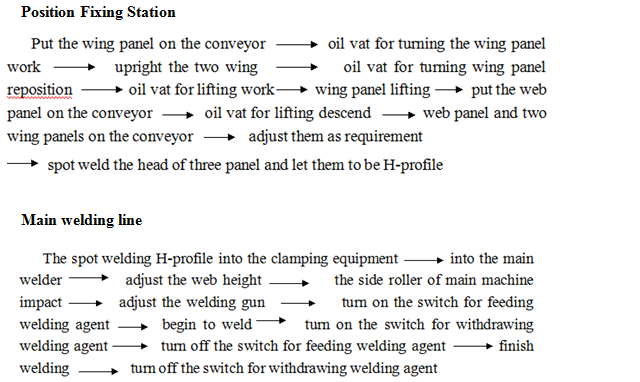 After fixing the position for the web and two wings of H-profile steel, the welding machine can automatically located, clamp, adjust, weld, transport until finishing the all work. The automatic mode of this line greatly lowers the cost of manufacture. 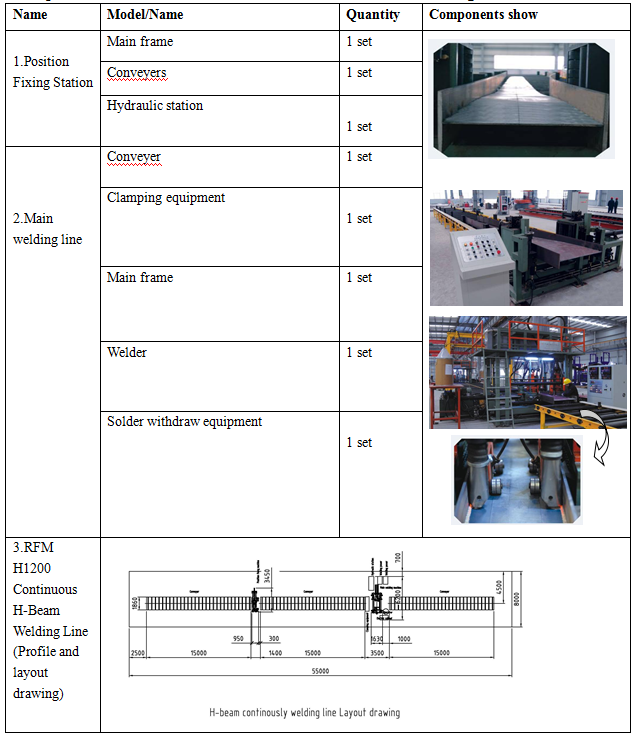 Finished products show about the Continuous automatic H-Beam Welding machine,pls check the download about the PDF below the main procucts description. 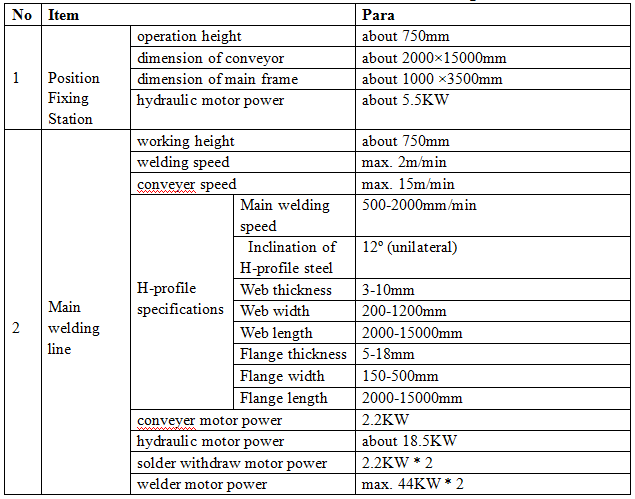 Looking for ideal H Beam Welding Machine Manufacturer & supplier ? We have a wide selection at great prices to help you get creative. All the Continuous H-Beam Welding Machine are quality guaranteed. We are China Origin Factory of Automatic Welding Machine. If you have any question, please feel free to contact us.